Do you desire to improve your health with exercise but don't know where to start? Do you have wellness goals but are unsure how to accomplish them? 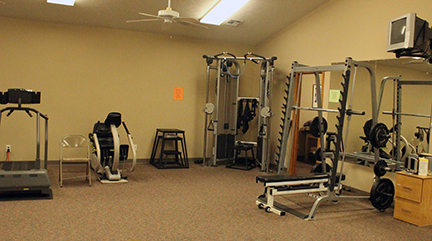 Abilene Physical Therapy & Sports Rehab is here to assist you with your Exercise and Wellness goals. ​Our Physical Therapists are Specialists in Human Movement and Exercise. Let us help you develop a safe and effective exercise program and wellness plan. Your Physical Therapist is available for periodic 45 minute follow-up sessions as needed. ​Call or Visit Today to set up your Exercise & Wellness Plan!! 11:00 a.m. – 3:00 p.m., 5:00 – 8:00 p.m.